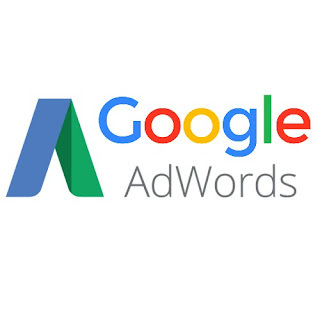 Uncategories DOES GOOGLE ADWORDS HELP YOUR SEO? It seems to be a common question that new SEO clients ask. “If I run an AdWords PPC campaign in Google, will it help with my SEO program?” The thought is that if you are paying Google some money, maybe they will help you out organically, too. It actually doesn’t work that way because Google doesn’t give any preference to websites that run PPC campaigns when it comes to their organic listing. We have full service SEO clients who also run Google Adwords campaigns and they ask us all the time if investing money in Google Adwords will help their SEO. They’re convinced that as soon as they stop pumping money into the program, their search engine rankings tank. This is absolutely untrue. There is no correlation between investing in Adwords and experiencing better search engine rankings. So how do you increase your search engine rankings over the long-term? You implement a consistent SEO program that involves regular content marketing, social media, and on-site SEO. Granted, investing in Adwords PPC does have value when it comes to giving your website an initial boost of traffic. But this should, in no way, replace your SEO efforts because your SEO program is what will give you the lasting results you need to maintain a sustainable online presence. On a Vector search conceptSERP (search engine results page), there are three sections of listings. Paid listings (PPC) appear on the top and on the side of a SERP and Google designates these as “Ads”, although they don’t make a point of making it overly obvious that these listings are ads. This keeps advertisers happy and content since consumers don’t want to feel like they are being advertised to. These listings appear based on how much money advertisers are willing to bid on particular keywords. The more competitive the keyword, the more it will cost each time the link is clicked on. This is how Google makes their money, so it’s natural to wonder if PPC spending affects organic rank. Technically, in regards to the Google algorithm, it doesn’t. Organic listings appear in the middle of the page. While businesses don’t pay for these listings, they certainly aren’t “free”. It takes a lot of time and effort to get a website to rank prominently in the organic section on a SERP. Instead of paying Google directly website owners will need to pay an SEO agency or staff to handle SEO duties that include on site optimization, link building, content marketing, and social media. SEO is a lot of work. While it may be tempting to think, “why bother?” if you can spend the money on PPC and still have a search presence an organic listing is very important. Web users are savvy and some avoid the “paid” section at all costs. The organic listing section tends to be more trusted. While you’re first developing your SEO campaign, it’s advisable to invest your resources in both PPC and SEO. SEO, while worthwhile, is a long term strategy. Depending on the competition in the niche, it can take years to improve a search engine ranking and generate a significant amount of traffic. Investing in PPC in the interim can do two things. First, it can bring some traffic to your site that may convert. Second, it helps to build the brand. Even if someone doesn’t click on an ad, they may still see it and may remember it in the future. Websites Should be Mobile Friendly By April 21st, Warns GoogleAnother way that running an Adwords campaign can help your website in the beginning stages is that it conveys to search engine users exactly what your website is about, which can help them assess if it is relevant to their needs or not. If someone searches for something, and your business is there twice in both the paid and organic sections you must be able to help solve the problem that they are having. Google Adwords can help keep the brand top of mind and encourage someone to click on an organic SEO listing. PPC and SEO both have their place in the growth and development of your company website. When an SEO campaign is just getting started, this is the ideal time to invest in PPC. Once the SEO program gains traction, it’s okay to scale back on Adwords.